Our clients are doctors, dentists, lawyers, teachers, accountants, nurses, and other men and women who are at or near retirement. Here are some reasons they say they choose us. A specialty firm focused on retirement planning exclusively. At Sage, retirement planning is our one-and-only focus. Our experience helps clients avoid the common mistakes that force retirees to spend down large chunks of their savings. We believe a proper retirement plan should be tax-efficient, offer a hedge against inflation and have the flexibility to provide for planned and unplanned needs in the future. We’re independent. We don’t have sales quotas. We don’t represent a large firm. We represent you. When you work with Sage, you get the owners – not a junior account representative who’s still learning the ropes. A holistic approach. Retirement planning doesn’t happen in a vacuum. How and when you claim Social Security, for example, will affect your supplemental income, which in turn affects your other savings. Required Minimum Distributions (RMDs) from your retirement accounts might create a large tax bill that affects your budget. We look at all aspects to make sure your plan is optimized for success. Sage co-partner Ian Welham giving an educational workshop. Not from Wall Street. It comes as a surprise to people when we show them that they do NOT have to risk their money or speculate in the market to grow it. There are safe & sound options to comfortably take care of your needs – without suffering the Wall Street rollercoaster. Making the Complex Simple. We’re not sure which compliment we enjoy more, when someone says, “No one has ever told me about this stuff before,” or “You make it easy to understand.” Either way, we enjoy taking what are sometimes complex or confusing concepts and making them accessible. Solid Reputation. We’re proud of our A+ Better Business Bureau rating. 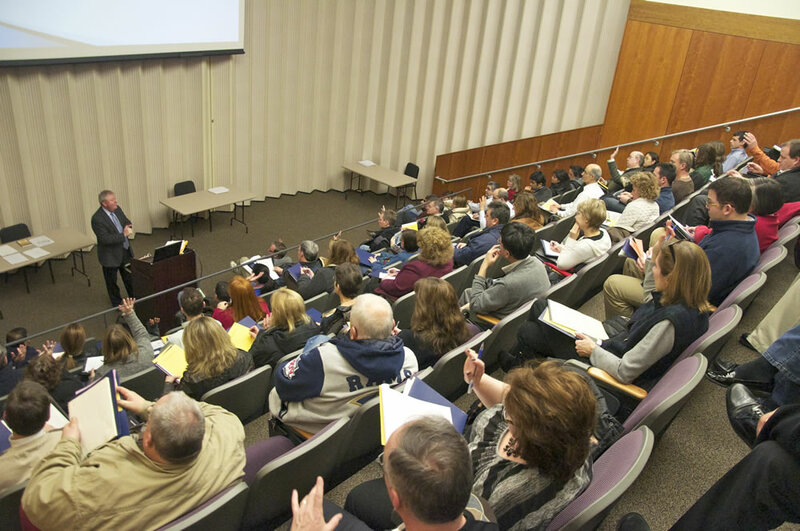 Thousands of people have attended our educational workshops. We have also been featured experts in the New York Times, Forbes.com, AOL Finance, Newark Star-Ledger, and Kiplinger’s. Popular books we’ve co-authored include Cash for College, and Changing the Face of Accounting. Ready for Some New Ideas About Your Retirement Plan? Fill out the form below and one of our representatives will contact you to schedule your no-obligation consultation to address your retirement planning questions.